Urban Veda is yet another exciting new organic beauty brand to hit the UAE market this summer. Launched in the UK this year and having bagged a number of prestigious beauty awards already, the name ‘Urban Veda’ conjures up holistic beauty regimes from India. The brand uses the ancient principles of Ayurveda to recreate high-quality beauty products infused with the goodness of natural ingredients that have been tailored to the skincare needs of the 21st century. Ayurvedic wisdom stems from addressing the different ‘doshas’, a term used to describe the physical and emotional tendencies of body and mind. On the Urban Veda website, you can actually do an online quiz to find your dosha type, and this will help narrow down your choices from the Urban Veda range. I have been using the Urban Veda Purifying Exfoliating Facial Polish for the past week, and this lovely cleanser has been a great intro to the brand. The full-sized tube comes in 125 ml, and I was sent a 20 ml sampler which is a decent size as I’ve been using it all week. I was a little skeptical about trying out this product at first as it is designed for oily skin. I tend to have normal to combination skin, with a T-zone that gets more activated in the humid summer months. 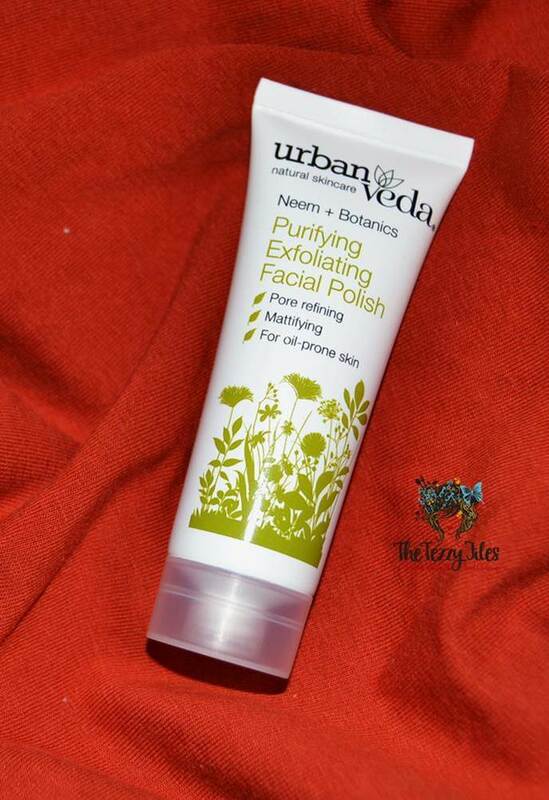 However, the Urban Veda Purifying Exfoliating Facial Polish did not disappoint. “Naturally formulated for a deep cleanse, our revitalizing scrub contains natural Pumice to exfoliate, cold-pressed Neem oil and refreshing essential oils to remove impurities and treat blackheads. Antioxidant-rich botanicals work in synergy with naturally astringent herbals and collagen-boosting extracts to reduce excess sebum, tighten pores and leave skin hydrated.” – Urban Veda website. The product has a strong minty, effervescent scent that spells out ‘fresh and clean’ to me. The fine pumice exfoliates the skin without being harsh. Washing off this product leaves the skin feeling tingly-fresh and rejuvenated making it an ideal ‘wake-me-up’ for bedheads like me. Although I don’t have oily skin and the product claims to be mattifying, the Urban Veda Purifying Exfoliating Facial Polish does not dry out my skin. Within a week of using this product, the Urban Veda Purifying Exfoliating Facial Polish seems to have evened out blemishes, and gives me a boost of confidence when tackling a day out in the humid UAE summer. Has a strong, fresh scent I love. Gently exfoliates, not harsh at all. Leaves the skin feeling thoroughly clean and fresh. Can even out skin blemishes. The strong minty scent may not agree with everyone. May not be ideal for dry, sensitive skin. Best to look up other products targeted for this skin type from the Urban Veda range. A 125 ml tube of Urban Veda Purifying Exfoliating Facial Polish retails for AED 95, and is available at the Holland and Barrett outlets in City Walk, Festival City, Dubai Mall, Madinat Jumeirah and Oasis Centre. This is my first product from the Urban Veda range, but I guarantee you that it won’t be the last! 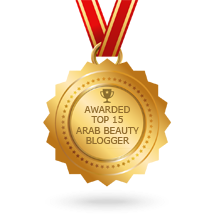 Posted in Product Reviews and tagged Beauty, beauty review, dubai, skincare. Bookmark the permalink. Thank-you very much! I think you should give it a go 🙂 Let me know how you find it!